We publish the following piece by political prisoner Khalfani Malik Khaldun, which speaks to the issues that have helped foment the ongoing hunger strike of prisoners in Pelican Bay, California, as well as elsewhere in California. Now is the time to demonstrate support for those wrongly incarcerated and suffering the terrible abuses of the U.S. criminal injustice system – Editors. Life in a Special Confinement Unit (SCU) in a prison is austere. 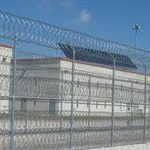 In order to effectively maintain an orderly run unit such as this one in the Indiana Department of Corrections, it is imperative to establish a means by which prisoners and staff engage in conflict resolution. This report will highlight many of conditions that must be modified in order to create a more conducive environment for prisoners. Current conditions clearly focus on strict punishment rather than on re-entry or rehabilitation. My intent is to provide creative suggestions with the hope that the prison administration will seriously consider a number of modifications. Having nothing to look forward to but three meals a day, one hour of recreation, and a shower creates an unshakeable emptiness. How can you stay or think positively when there are no active programs to encourage or motivate you? Television and commissary do not cut it. There must be incentives that promote an eventual release from this prison control unit; unit modifications are going to be necessary. As many of us know, visitation for a prisoner and his loved ones is invaluable in maintaining relationships as prisoners attempt to rebuild their lives. Visits, like correspondence, make up a thread that keeps a prisoner connected to life outside these prison walls. Visits went from prisoners being able to visit loved ones through a glass window partition separating them to a video screen, in which they have no direct contact whatsoever. There are so many people affected by this one action. The change also impacted prisoners who haven’t caused any disturbances or hadn’t been written up at all. Our families haven’t broken any prison rules, so how can it be said that the SCU promotes keeping families and prisoners together when they’re feeling dehumanized and discouraged after every visit? The video-monitored visits take away the goodness of a family visit and substitute live interaction by animated cartoonish-like monitor screen. Many families have stopped visiting the unit because of it. Facility and department-wide Administrative Segregation (A/S) prisoners should be permitted to have window visits in R&R again, if they are conduct-clear. Video-monitored visits may be deemed necessary for those who have abused this privilege. Doing this I believe will positively severely impact this environment for the better towards a successful re-entry back into the world. If you do not want to return to full regular “window-visits,” try it on a test-run basis for a while on weekends. If there aren’t any problems, it can be set to a regular Monday through Sunday format. These reviews have been utilized by staff assigned to the SCU for some time now. The 30-day review contains repetitive language that never changes, regardless of the fact that no prisoner’s situation is the same. It would be a tremendous help if for once this review wasn’t so vague and was more specific, such as by revealing what was reviewed and describing any old or new justifications for why any changes in our status aren’t recommended. How can any prisoner subjected to “indefinite” department-wide A/S status and mount an effective challenge against a thinly veiled ghost-like policy? That is why it’s my honest opinion that a careful consideration must be given to the language used on the 30-day reviews. The process by which the 30-day reviews are conducted is perfunctory and could be done a better way to show that an actual effort is made for a careful review. The 90-day review is completely unchallengeable due to the lack of reasoning or specific explanation regarding the denial of a release from an A/S status. The review can be conducted informally. But we should be afforded the privacy of a closed review so that we can be allowed to present all evidence that is helpful for an unbiased A/S review. The denial sheets given to us are vague and provide no any details as to why the request for release was denied. All evidence used must be shared with us and explained on these paper reviews; not doing so is completely unfair. Consideration should be given to the way the 30-day reviews are prepared and conducted. Prior to being placed in our mailbags, we should be allowed to know what’s being reviewed; also we should have a brief explanation on why no changes were recommended. That prisoner’s 30-day review should reflect in language and content our unique and different situations for being on A/S. All 90-day reviews should be held in a private manner and not on the ranges, so that prisoners can effectively present their documentation for serious consideration for release from department-wide A/S. Be more specific in explaining what evidence new or old was used to justify the 90-day review request to be released from department-wide A/S. I believe that doing these actions will help to restore hope in those feeling helpless and hopeless. As I understand it, these two classification statuses are in their basic sense the same as far as being removed from the general population is concerned. But when being considered for a possible release, prisoners on A/S can ultimately be approved by the facility superintendent, while prisoners who are classified as department-wide A/S status can only be released by members of the central office staff, that is, the commissioner or his deputy or regional directors. Prisoners on facility A/S status stand a greater chance of being released back to general population. For the past two years I have witnessed six to seven prisoners placed on the SCU for investigation. While pending investigation, these men are being re-classed and placed on either status; then once the investigation ends many are never served conduct reports. Instead of being released back into general population, they’re being warehoused on the SCU. That is truly wrong and unprofessional. The context for why such units were built has been forgotten by locking these men in highly stressful conditions, which if carefully looked into, absolutely do not fit the criteria for facility or department-wide A/S. To be fair, all that has to be done is to ensure that prisoners on facility A/S who may not have any current severe behavior infractions, and who have completed some self-help or self-initiation programs with a credit class status for a year or more, should be let out of the unit. Prisoners that are on department-wide A/S status at some point, and who have spent beyond five years on it, should be evaluated for release from it; relevant evidence must be supplied to determine if it no longer applies. In most cases prisoners (like myself) find that there is nothing new to justify their continued segregation, since we have demonstrated our willingness to complete all existing programs as an example of our changed attitude. Serious consideration should be made to ensure our release to general population. Department-wide A/S can be discretionarily enforced upon us as a “permanent” or “indefinite” basis. The federal courts said that A/S must not be used as a pretext for punishment. What should be considered by prison administrators is what would happen if their sons or daughters were thrown into A/S for an untold number of years. I’m sure they’d hope someone would give them a second chance. After investigations are over and no conduct report was served, prisoners should be released out of department-wide A/S. If the reason the prisoner is not released back to the facility’s general population is due to an alleged incident that prompted the investigation, they should be recommended for transfer to another facility. Many prisoners on the SCU are currently being held on allegations of a past conduct history. If a prisoner has demonstrated through appropriate behavior good adjustment to the unit, they should be interviewed and allowed to present their defense for release from department-wide A/S or facility A/S. If there is no evidence existing to hold a prisoner on either status and the prisoner has served more than two to three years without incident, they should be recommended for an immediate release from this unit. These two statutes are fundamentally different. For some time, prisoners were being held on Disciplinary Segregation a lot longer than on A/S. However, today with the new Disciplinary Procedures in place, it is an established documented fact that prisoners are serving more years for non-disciplinary reasons than they are for violating a specific prison rule. A/S is primarily like a population status with restrictions, an administrative placement for not violating rules, or involving the receiving of conduct reports; Disciplinary Segregation is simply a placement initiated for violating a rule that requires segregation. The new procedures reduce the length of time prisoners used to serve, in other words cutting down Long Term Segregation, which is a good thing. The same reasoning applied here to reduce Long Term Segregation should equally be applied for prisoners currently held in facility and department-wide A/S. It is illogical to change one, but not the other. Where is the “reward” for the prisoner spending countless years on A/S that never obtained a conduct report to be on that unit? Where is the reward for those that have had multiple years of clear conduct? There needs to be a specific release date highlighted in these Administrative Segregation Procedures. Just knowing you have a release date from A/S is a big incentive to do better; in my opinion it’s an encouragement—A/S is not supposed to be used as a pretext for continued punishment. If I have served my Disciplinary Segregation Sanction, according to the “D/S” Policy/Procedures, I should be removed from Segregation. The inference is that when you place prisoners on A/S once their segregation release date is up, it’s a double punishment. The courts have held that doing so is an abuse of authority. When a prisoner’s D/S time ends, he should be immediately released to general population, not re-classed to facility or department-wide Administrative Segregation. Prisoners housed on A/S due to be released to the streets shouldn’t be forced to go home from the SCU. They should go home from general population; it’s a better re-entry transition. 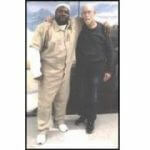 The Policy 02-10-111 for A/S should be modified to reflect a release date criteria for those prisoners who have consistently demonstrated excellent behavior. That warrants being released from A/S to general population. Disciplinary Segregation Policy 02-04-102 says an offender may not remain in D/S longer than the given sanction imposes. This procedure does not say he shall be placed on A/S status. These procedures should be modified to prevent A/S placement over the release off this unit. There is a lot of truth to the evaluations being conducted about the short and the long term affects of isolation or extended isolation. The SCU, like many other units in which prisoners are confined, is characterized by great deprivations. Society and many in charge of these sensory deprivation units cannot relate to the types of human and psychological hardships suffered by those living on the SCU. 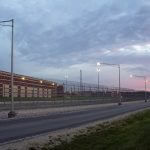 The American Correctional Association has said that harsh punitive measures “defeat their own purpose by embittering and demoralizing the inmate,” and rage is not known to deter violence. So how is a control unit that compels prisoners to be housed in a cell with no physical, social interaction 23-24 hours a day to be modified to a humane environment? To answer that question all you have to do is look around the unit. There are no positive stimuli in existence to motivate or encourage isolated prisoners. Units like the SCU are incubators of mental and emotional instability. The conditions never actually changed that caused many mentally ill prisoners to deteriorate. The outside recreation cages have opened the door for visual stimuli, but without proper programs the negative affects still remain great. Dr. Terry Kupers, an Oakland-based psychiatrist with decades of experience in prison work, and Dr. Stuart Grassian both have noted these units can literally drive prisoners crazy. The symptoms range from paranoia, hallucinations, hypersensitivity to external stimuli, panic attacks, hostile outbursts, fantasy delusions, thoughts of revenge, and self-mutilation. No one will ever leave this unit the same as when they came in. If a variety of cognitive programs were actively operating on the SCU, I am sure the apathy and loneliness would not be so intense. What society doesn’t have a clue about are “unseen hardships.” Long stays on units like this have been documented as destroying the relationships between prisoner and family. Having no physical contact for years on end is a terrible disappointment and discouragement; how can the DOC be rehabilitating us by keeping us locked away and damaging the spirit of our families? Refusing to modify this unit’s conditions is like creating more damaged souls that will be eventually released back to society. While A/S units were created to “decrease” prison violence, extended indefinite segregation is more harmful than it is beneficial. I have been on segregation since 1994; and I am affected by these conditions myself. I am constantly witnessing prisoners lose hope and slowly begin to mentally deteriorate. TV and radio does not cut it any longer—there is a need for better outlets. The environmental stresses outweigh the positive stimuli, this is why the unit experiences chaos and confusion more regularly than not. All prisoners who want it should be allowed to get a GED; that small achievement would rebuild morale and confidence in oneself. The Procedures for Telephone Privileges should be modified to beyond 20 minutes a week, to 30 minutes a week, so as to give more time to connect/counsel our children and encourage loved ones; this outlet plays an important and valuable role in rehabilitation, rebuilding, and redemption. The SCU must incorporate several programs that actually teach prisoners how to cope and provide skills needed to adjust back out in society once they are released. Spiritual studies should be approved for Muslims, Christians, Jews, etc. These programs are essential for a healthy prisoner; faith is a powerful stimuli. Serious consideration should be given to the possibility of modifying the no-group recreation directive, allowing group-recreation for all A/S ranges. Is Administrative Segregation non-punitive or punitive? We have been told it is like a population status in some ways, but restricted in other ways; we can purchase $60 worth of commissary – and we can purchase $30 worth of “Girl Scout Cookies” once a year. However, our access to “fresh favorites”— Domino’s Pizzas, the Donut Orders, KFC, Wal-Mart Orders, Dairy Queen Orders have been discontinued. Some said that no other units have access to them, so it was discontinued. Prisoners at the Supermax Unit (at the Westville Correctional Unit), the A/S unit at Pendleton, ISP, and others, have access to food orders when they’re allowed. According to the Equal Privilege Clause of the 14th Amendment, all prisoners similarly situated should be treated the same. My suggestion is to allow SCU A/S prisoners to participate in the same orders highlighted in this report. Allow A/S prisoners on the SCU to order from fresh favorites and other allowed/approved food vendors. Conduct a survey investigation at A/S units to confirm if they’re being allowed to participate in fresh favorites and others. I have been housed on the SCU since January 31, 2003. There are a variety of things that tend to keep chaos alive and active in this environment. If it was corrected the tension would decrease between officers and prisoners. The grievance process is an official means of documenting legitimate complaints. Conduct reports are the official means that the staff uses to expose disciplinary violations. Staff members that have been assigned to the SCU have the unprofessional tendency to label a prisoner a snitch for filing a grievance, whether it’s about the conditions of the unit, being denied a shower or recreation, or on staff for poor conduct. That is retaliation, and Policy on Grievances and Standards of Conduct for Departmental Staff clearly says that no one shall be the subject of retaliation for filing a grievance or complaints against staff. 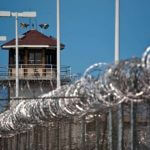 Staff who receive a notice that a prisoner has filed a complaint have spread the rumor that the prisoner is a snitch. This one act creates a hostile environment on the SCU that violates the Rules/Policy Standards of Conduct for Departmental Staff. One prisoner got into an exchange with the nurse about not following proper procedures when dealing with his medications. The female officer escorting the nurse threatened to poison the prisoner’s food trays. Not having a monthly scheduled Unit Team Meeting as required by IDOC policy prevents us from engaging in Conflict-Resolution; this is why I feel Unit Team Meetings between prisoners and staff is so important. The monthly meetings would allow the airing on various grievances existing across the unit. Also not moving disruptive staff members whose actions/conduct have been confirmed as unprofessional or criminal off the SCU allows them to feel they can do almost whatever and get away with it, as long as the prisoner is not seen as being credible. No officer should be allowed to be assigned to the SCU for over two to three years; you enable them to carry out reactionary retaliations against us when they’re not reprimanded when they violated policy and procedure. To me this is one of the major issues that must be resolved on the SCU right now. The Unit Team Manager for the SCU should, per policy, begin a scheduled monthly Unit Team Meeting between Prisoners/Unit Team. Due to shortages of staff at times we know you can’t call out everyone. Either call out the detail from each “range” to represent the issues for each range, or call two prisoners out per range, which would be 12 prisoners per pod. Each “Pod” can be visited by a Unit Team on a monthly basis per scheduled time, and a memo can be sent advising ones when you’ll be on the pod. Remove any staff member off the unit that has been confirmed to be retaliating against prisoners for filing grievances, or threatening to poison prisoner’s food. This happens regularly. Staff assigned to the SCU who start rumors calling prisoners snitches for filing complaints or engaging in spreading gossip creating chaos on the unit should be recommended for termination; this is Conflict Resolution. The SCU unit outside recreation cages sanitation problem present a significant health risk hazard for all prisoners that enjoy going outside daily. While there has been a minimal attempt to comply with the Health and Safety Standards, by advising the unit to bring prisoners to clean up the cages, these prisoners are from the general population “Plus Program.” The cleaning is insufficient because they do not live on the SCU and do not have to recreate in the cages infested with bird feces. The netting is incomplete, so the birds are getting inside the cages nesting behind the basketball goals, releasing feces everywhere; the one-hour-a-day recreation is wasted in trying to not track the feces under our shoes. These conditions are unhealthy and we all have experienced coughing and colds being exposed to this feces. Per Policy 00-02-201 Health and Safety Regulations says: “Any Staff Person or Offender who believes that an unsafe or unhealthful conditions exist shall report the condition.” It appears staff is making this poor sanitation problem much harder to resolve than it really is. There is one sure way to bring the health code violations concerning these cages into compliance with proper standards. There is a need to upgrade the conditions where it concerns recreation equipment to improve the unit. We spoke about having “Pull-up Bars” welded onto the inside Recreation Pads. This would encourage more physical activities among prisoners, reducing a lot of stress-related episodes. The detail/sanitation workers on the SCU should be approved to clean the recreation cages two to three days out of the week. The workers that live on the SCU have more of a vested interest in seeing that the cages are thoroughly sanitized and cleaned. The workers can be placed in the cages with everything needed to conduct the task, and it shouldn’t take more than one and a half to two hours or less to complete. We can be monitored by unit staff to ensure the job is efficiently done. The unit should order jump ropes and yoga mats to be provided to prisoners upon request while enjoying the one-hour Recreation Period. Custodial needs to finish installing the rest of the nets to completely cover the sides of the fences to ensure the birds cannot get in and the feces droppings will disappear. This concludes my report on the Special Confinement Unit. I hope that my suggestions are seriously considered and recommended for approval by the authorities. Thank you for your time.